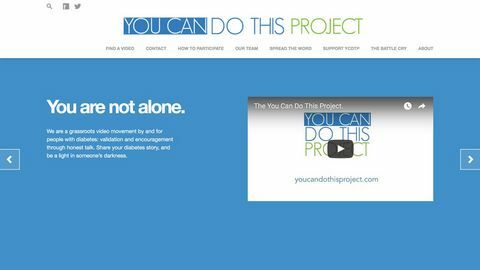 You Can Do This is a grassroots video movement by and for people with diabetes: validation and encouragement through honest talk. Share your diabetes story, and be a light in someone’s darkness. Videos of real people offering their individual stories about living with diabetes. Videos are helpfully grouped into categories including diabetes and mental health and how to manage your child's independence as a parent. Not all videos have been watched and reviewed. An uplifting website containing many videos by children of all ages and some parents, with messages which show that having Type 1 Diabetes needn't hold you back in doing lots and lots of activities.